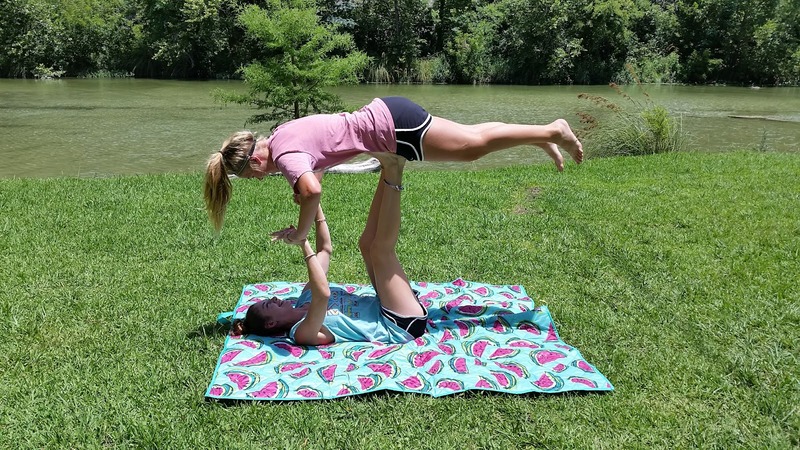 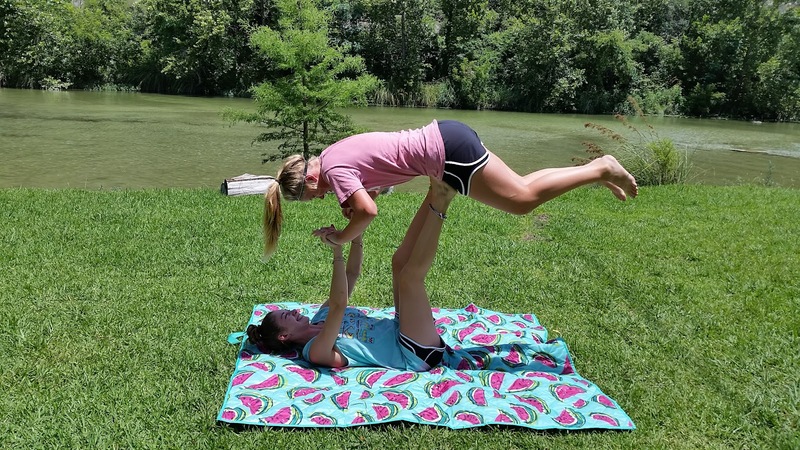 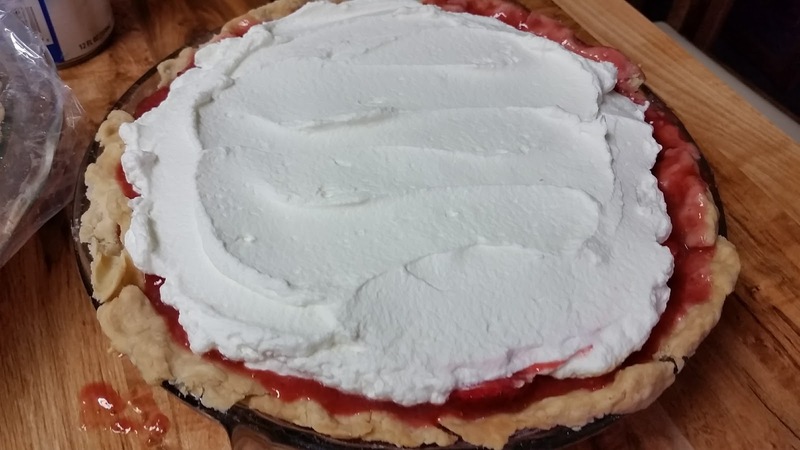 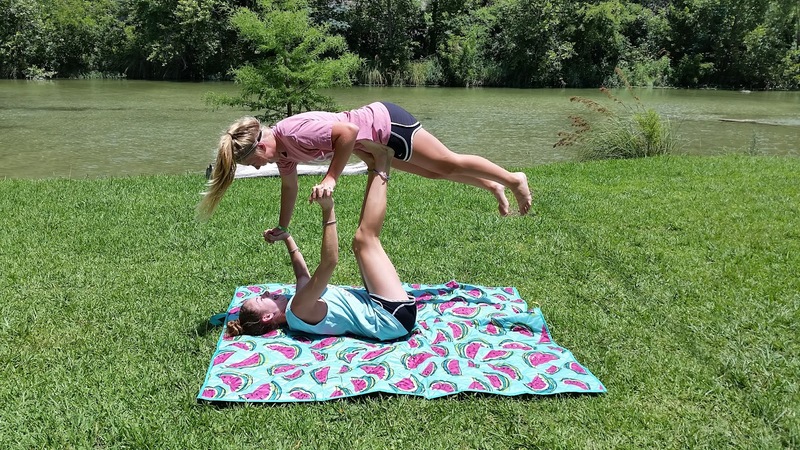 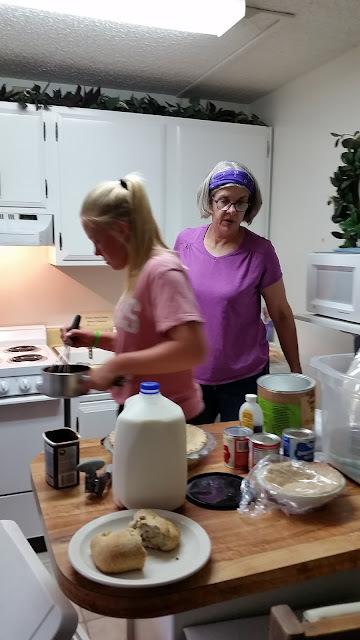 Grandma Mary Martha: Pie Pie Pie ! 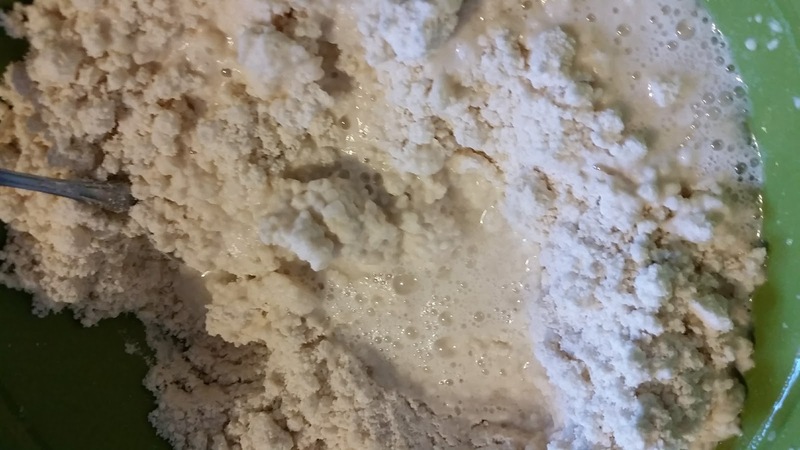 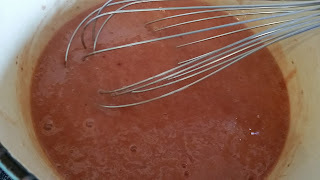 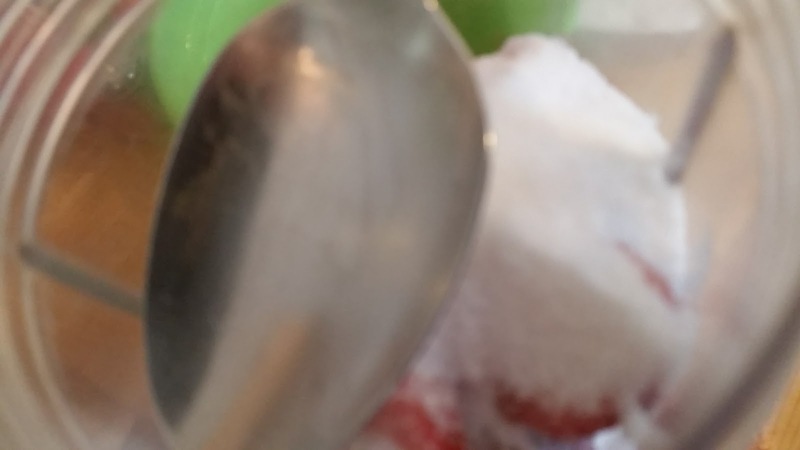 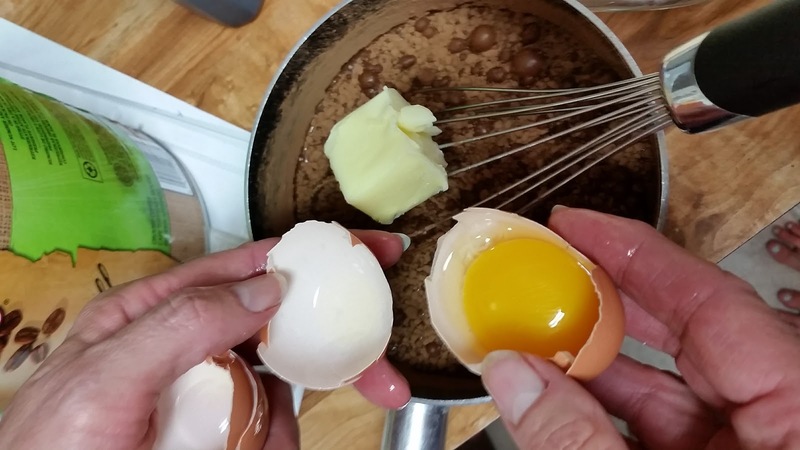 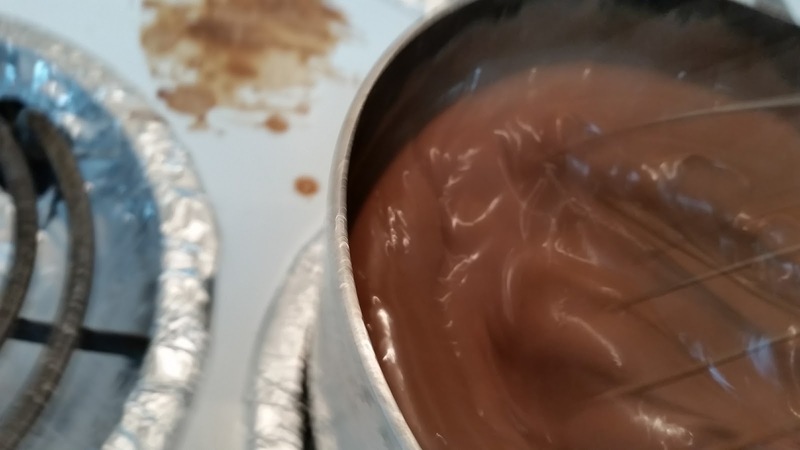 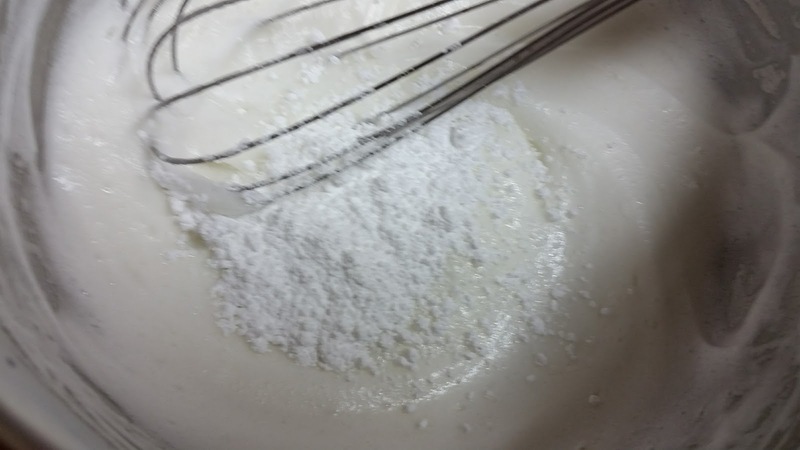 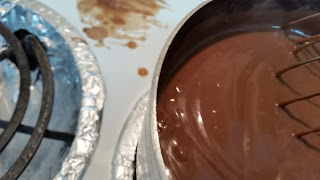 You can use a fork or spoon for this mixing and you are going for an evenly crumbly mix. Then get one cup of warm water and "tip a bit out." 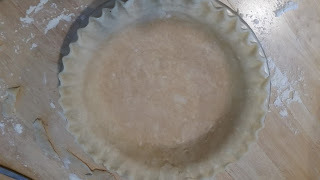 I declare that is how my friend Lory taught me, and she learned from an expert pie baker! 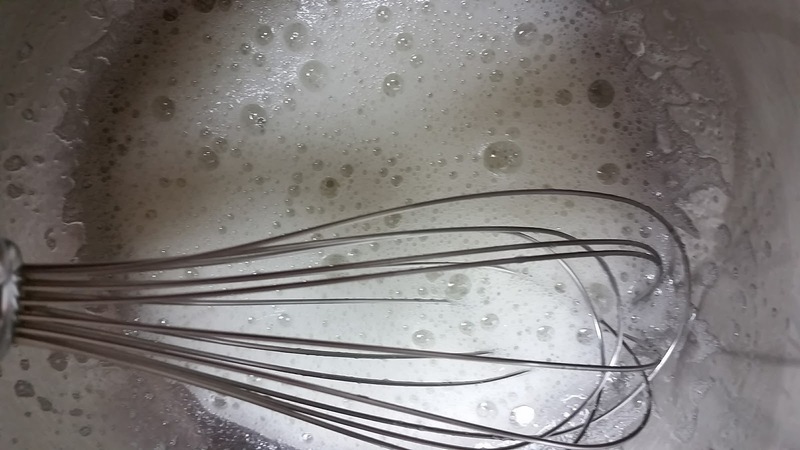 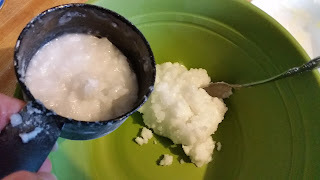 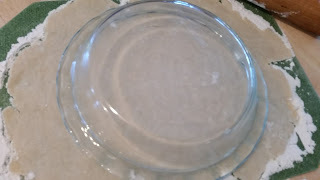 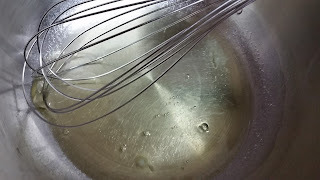 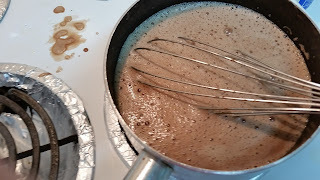 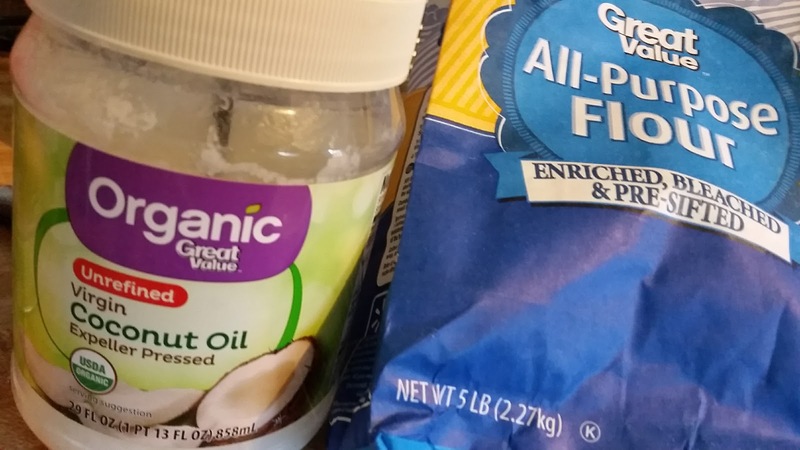 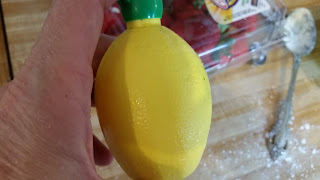 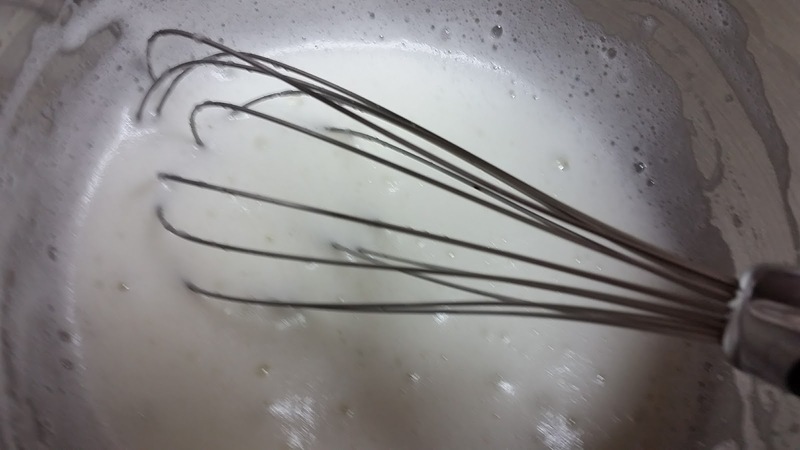 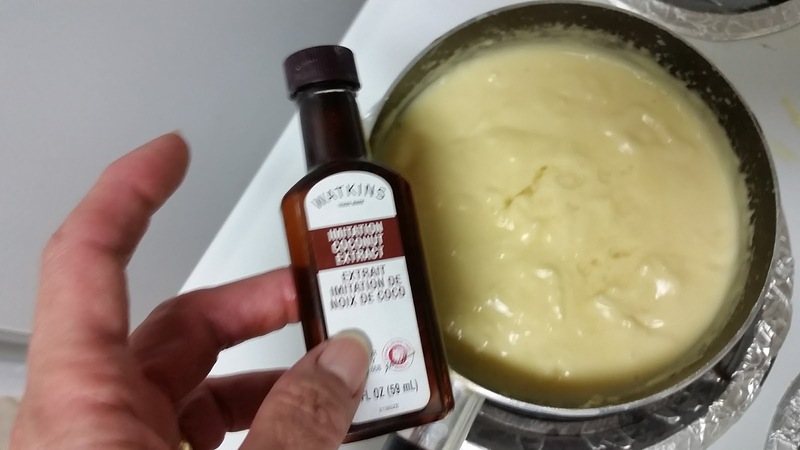 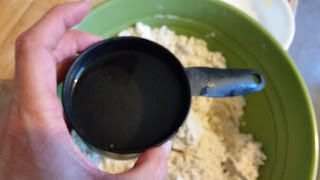 Pour that little less than one cup of warm water into the coconut oil and flour mixture and work it with your utensil, and eventually with your clean hands. Eventually a wonderful soft pliable non-sticky on your hands, dough forms........ that actually cleans the bowl sides of crumbs. 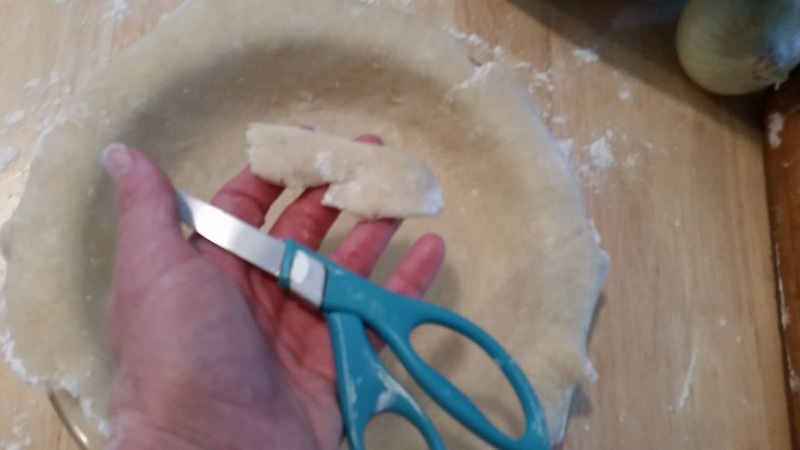 I cut my dough in half because I knew I would need only about half for my chocolate pie, and to tell you the truth, at this point I was not sure what I was going to do with the rest. If you are going to make many pies at all I HIGHLY recommend getting a "mat." I use this soft bendy plastic "place mat." 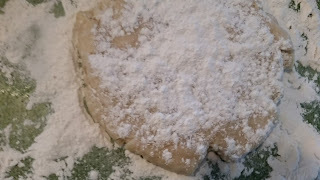 Put a little flour on the surface of the mat and rub it all over the rolling pin. 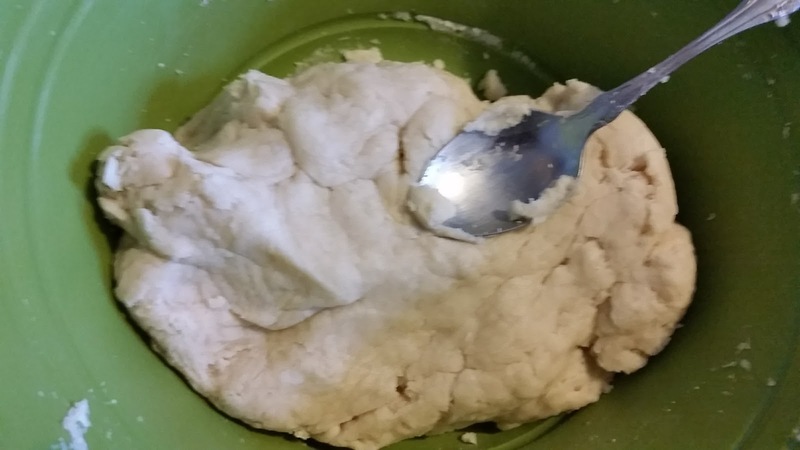 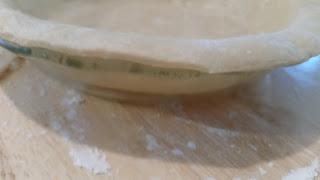 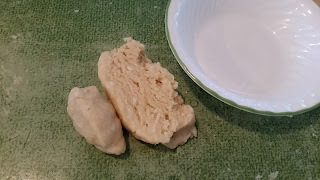 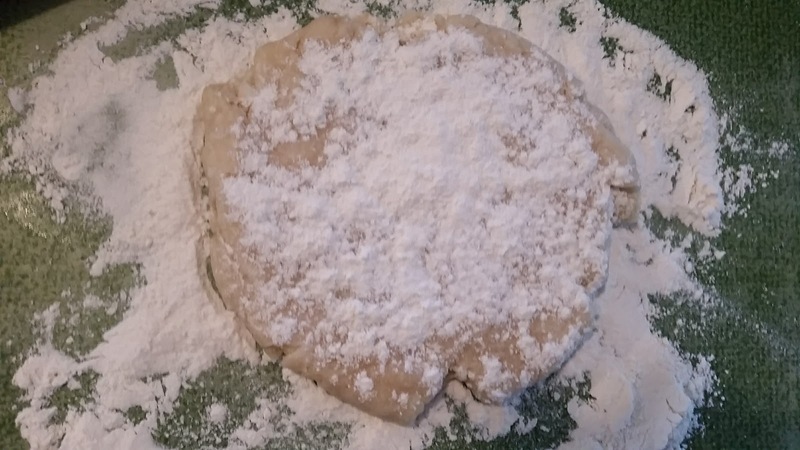 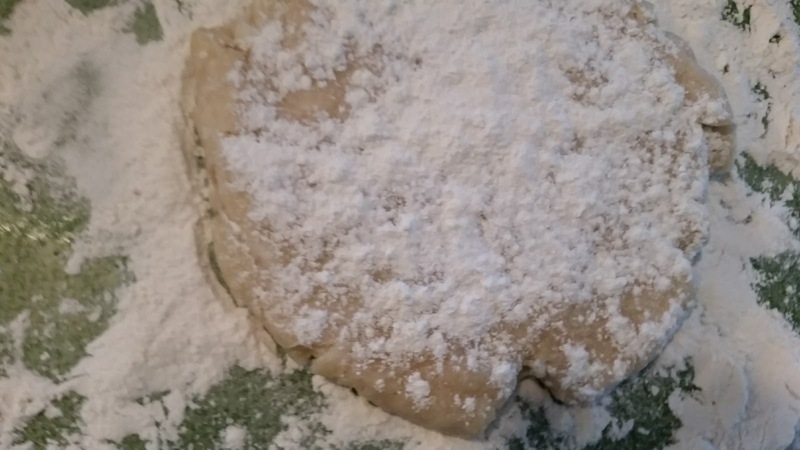 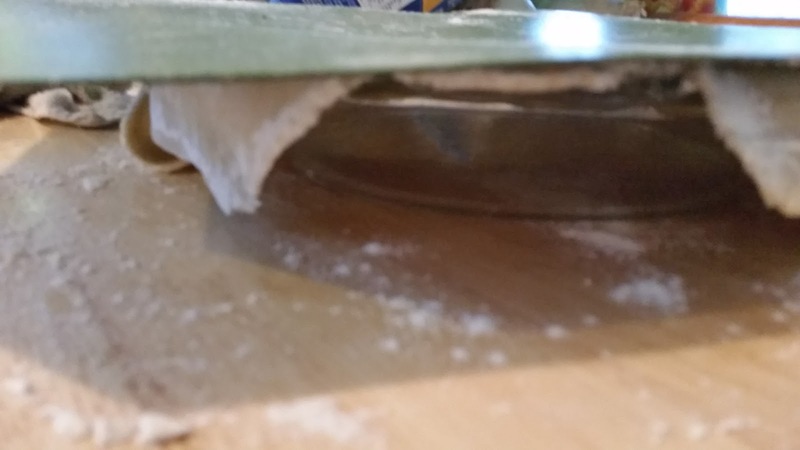 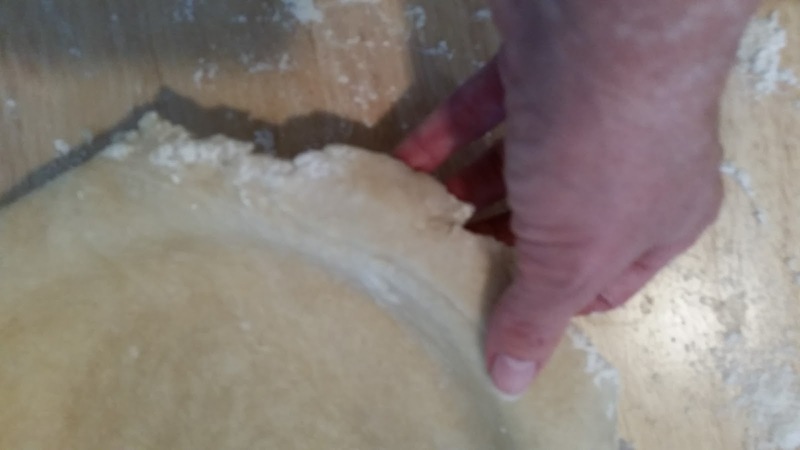 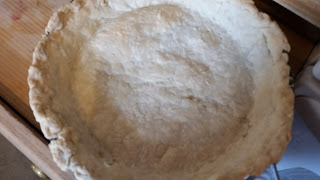 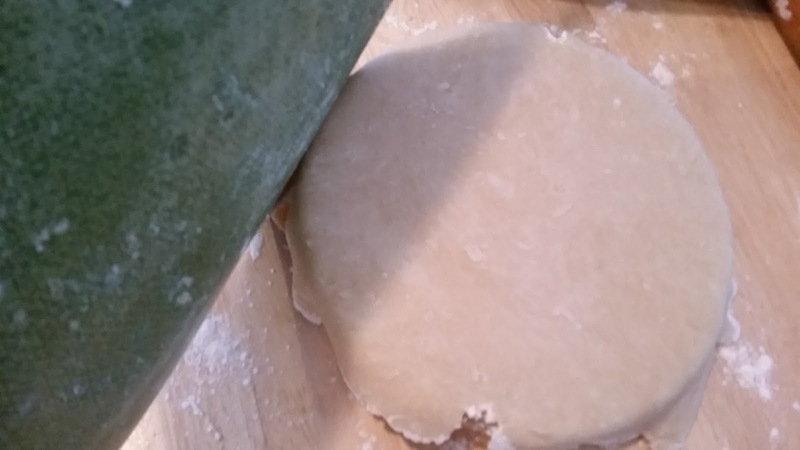 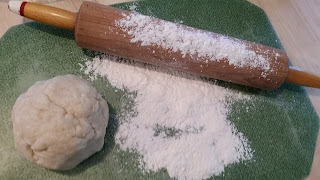 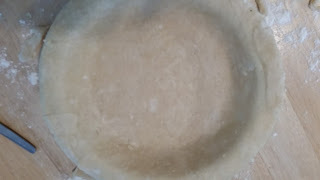 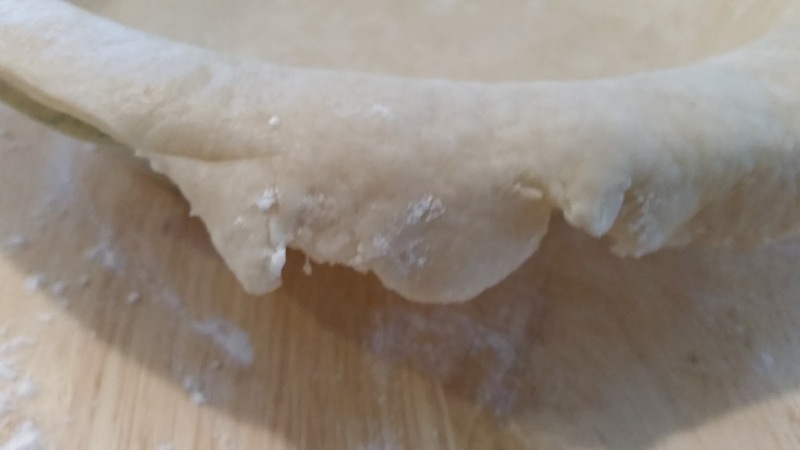 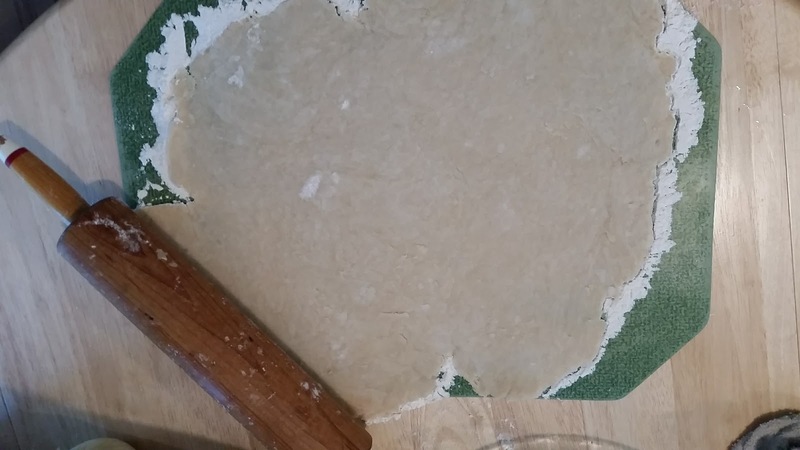 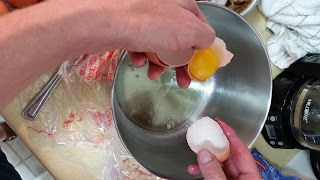 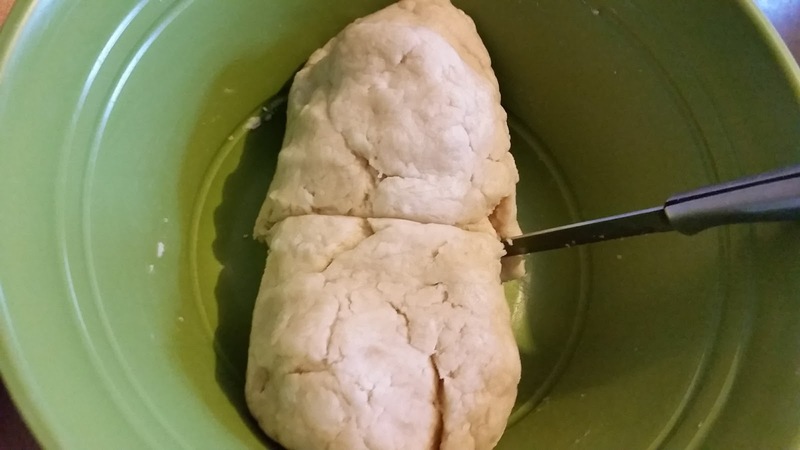 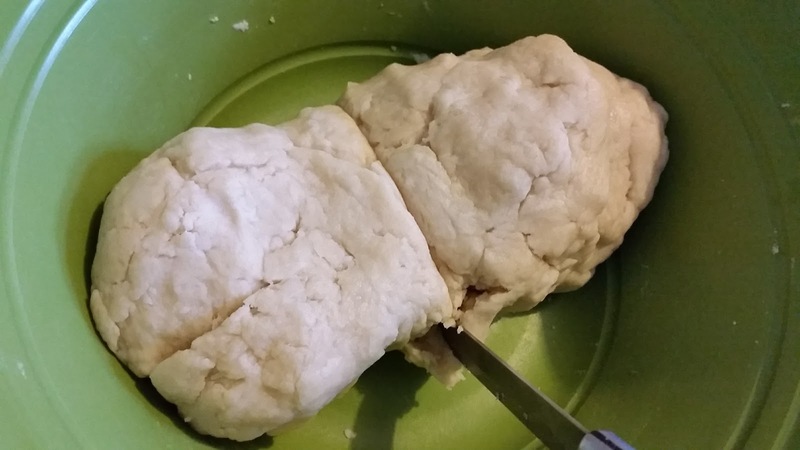 Put your dough ball in the center and pat it out uniformly and then use the rolling pin to gentley work the dough into a flat surface, about the thickness that you would expect a pie crust to be. 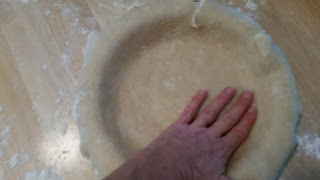 I put my pie pan upside down on the dough and then put my hands under the mat to FLIP it over. 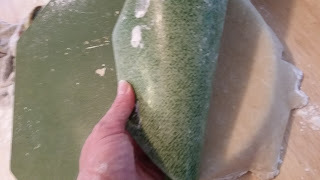 Then I peel my mat off. Pat the dough into the pan, and I like to use clean scissors to trim the excess off from the edges! 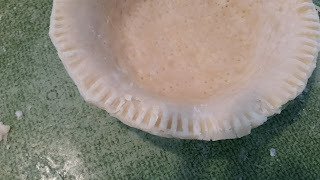 You can use trimmed off pieces to patch work any places that are lacking. 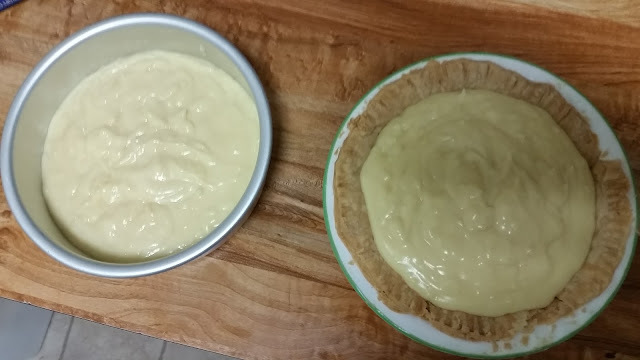 My pies are never known for their beauty. 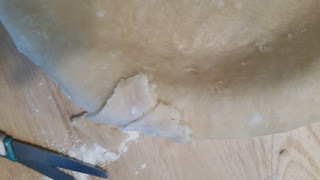 (Well, usually that is true......) I do not have the magic touch, and am not the best at making the perfect edges, but here is this one. It was fine, made with knuckles and finger-tips working together to mold a crimp at a time, but my daughter did one later, for me doing the classic fork crimping. They all taste delicious. 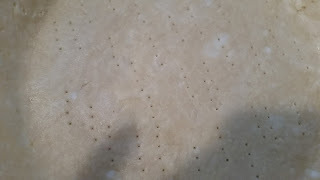 I thought that poking holes in the bottom using a fork was supposed to prevent holes from forming, but these crusts still bubbled a bit from the pan, when they baked. 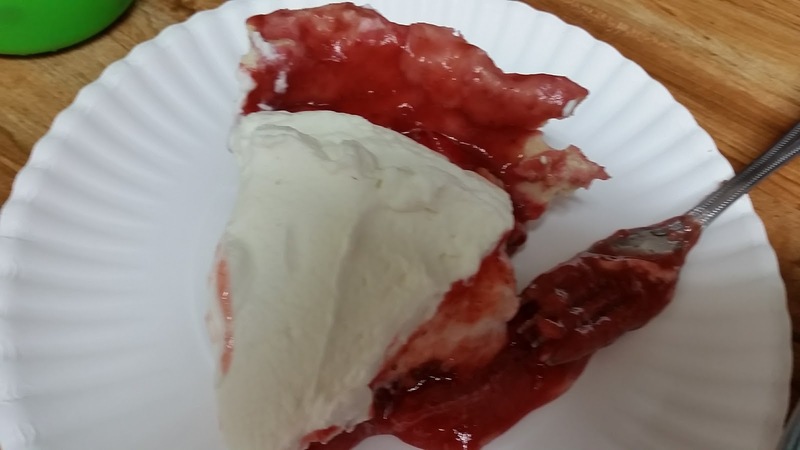 We were gathering with family, 45 minutes from where we live, and the chocolate pie was in honor of my daddy. 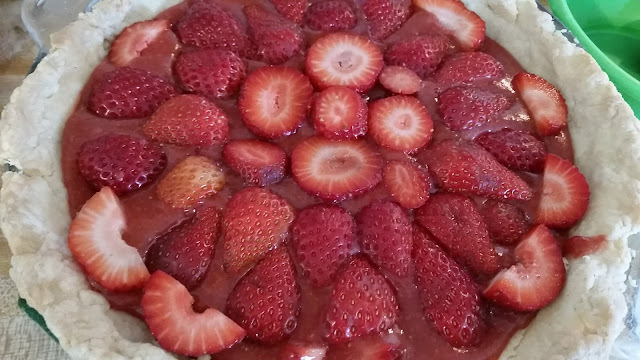 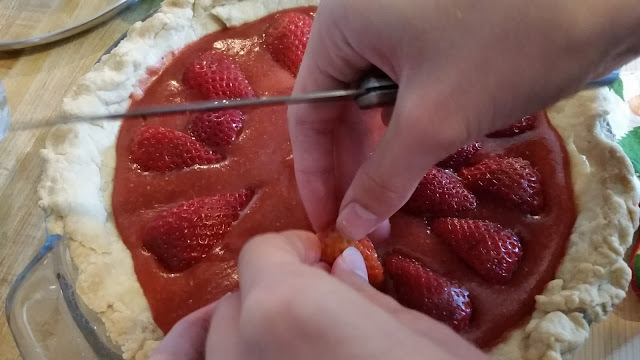 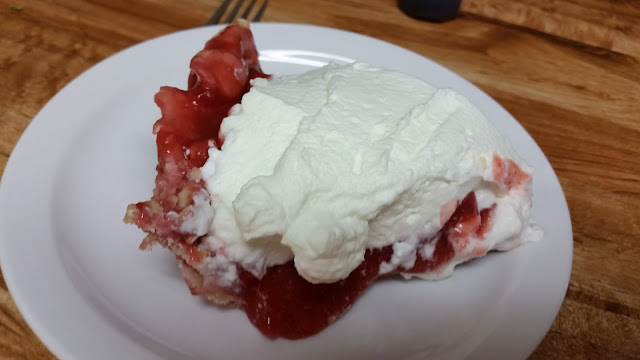 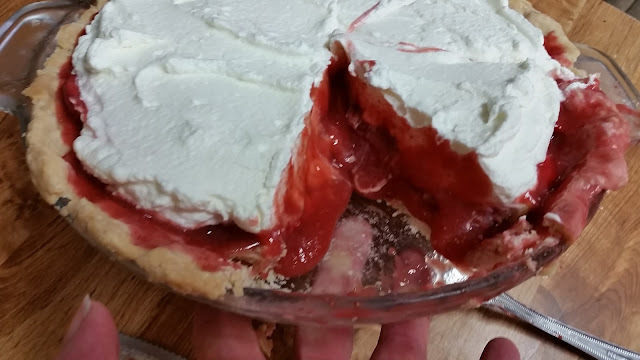 I had strawberries in the freezer and in the fridge and I decided to make a strawberry pie in honor of my mom. 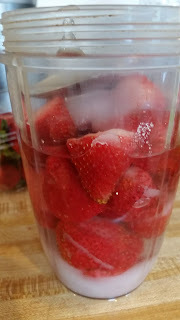 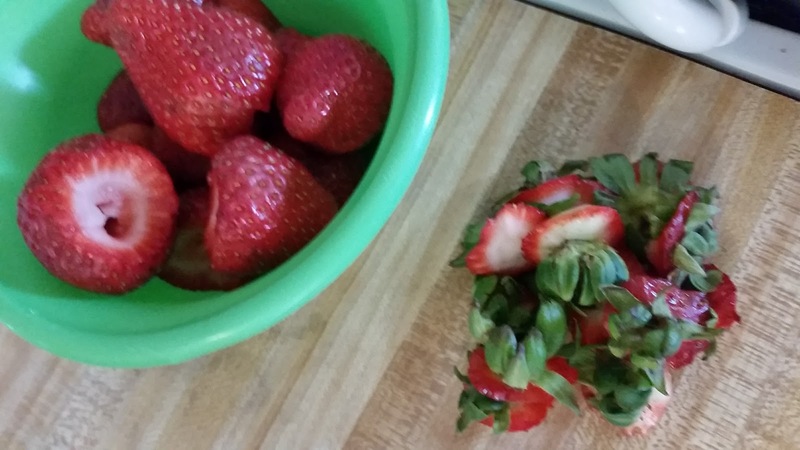 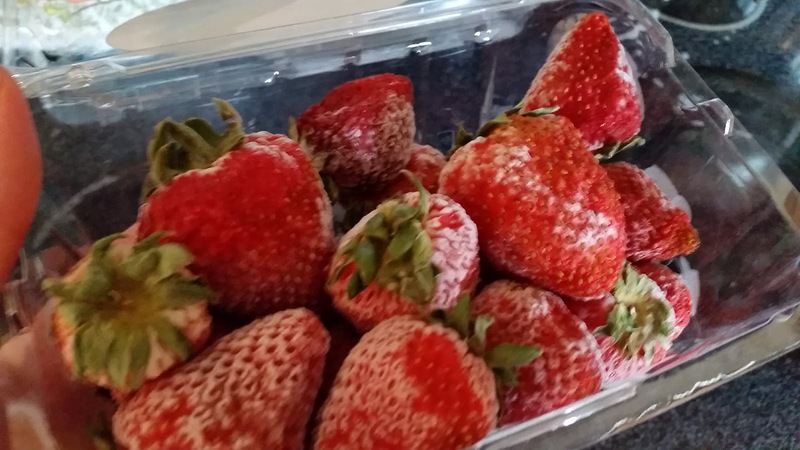 I took the strawberries out of the freezer, and rinsed them and cut out the green tops. 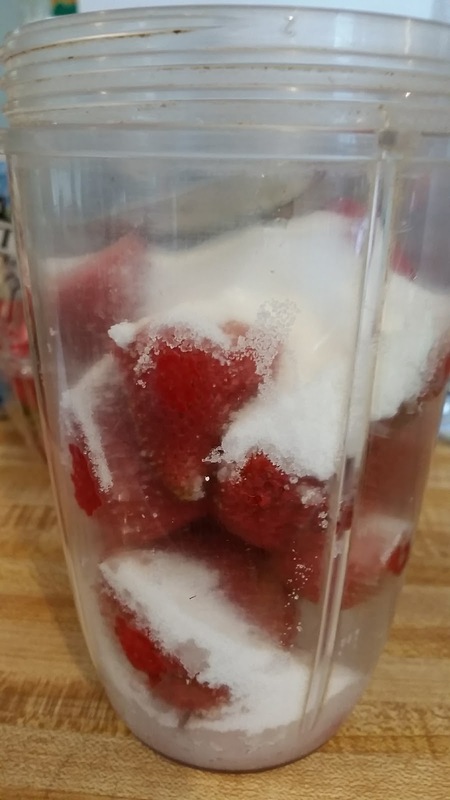 I put the strawberry scraps to the side thinking how our sweet deer would enjoy. 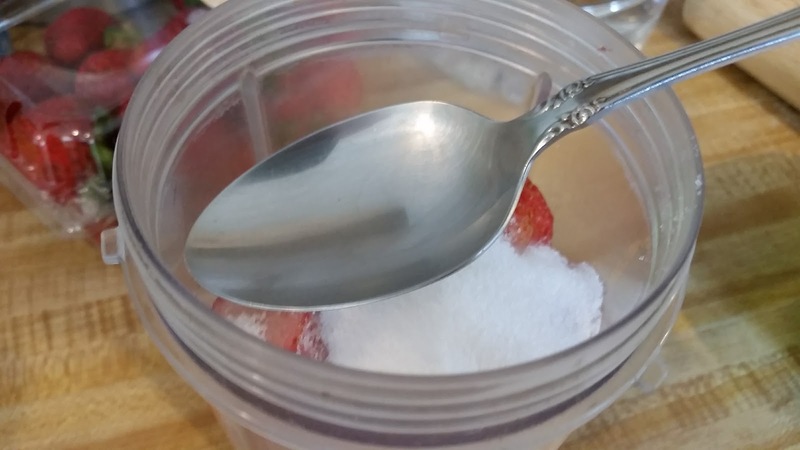 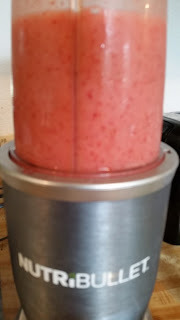 Then I put the strawberries in my nutri-bullet blender, and used a regular eating spoon to put in 4 heaping spoons of sugar. I didn't think that was too much for a pie. 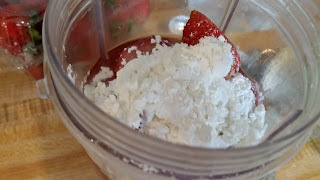 Then I filled it to the line with water, and added 3 tablespoons cornstarch, and whizzed it in the nutri-bullet, to a puree. 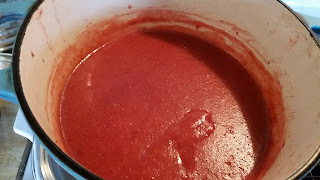 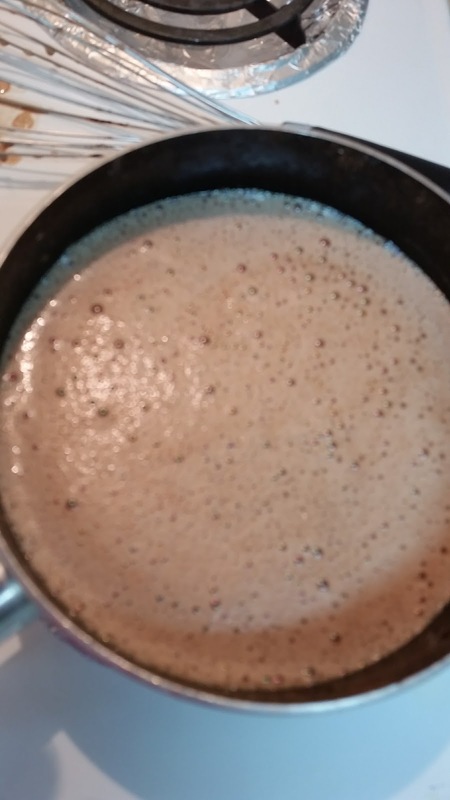 I let it boil a bit with frequent stirring over medium low heat. 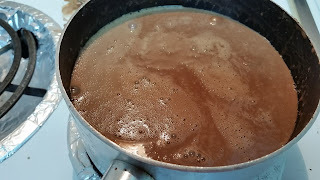 I let it simmer and boil and stirred it occassionally, it thickened to about like runny pudding. 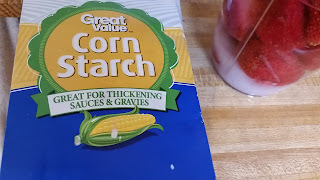 That sounds weird but is the best way I can think to describe it, and I thought it may thicken as it cooled. chocolate pudding pie with meringue. 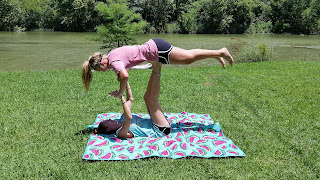 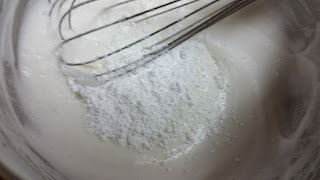 This I also learned from my friend Lory. 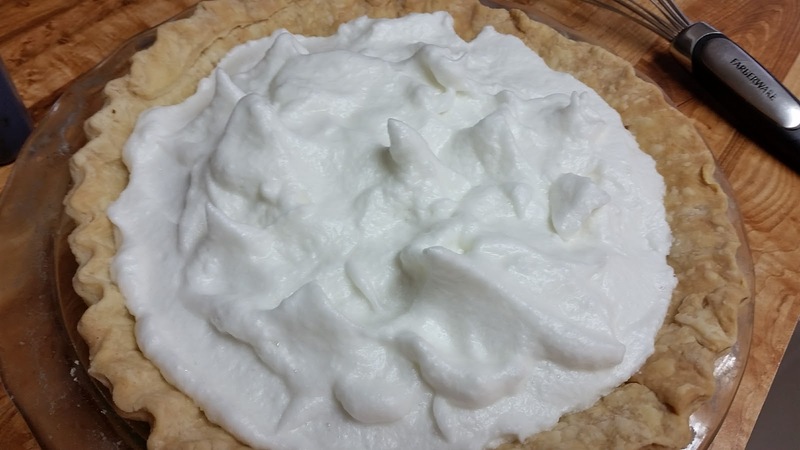 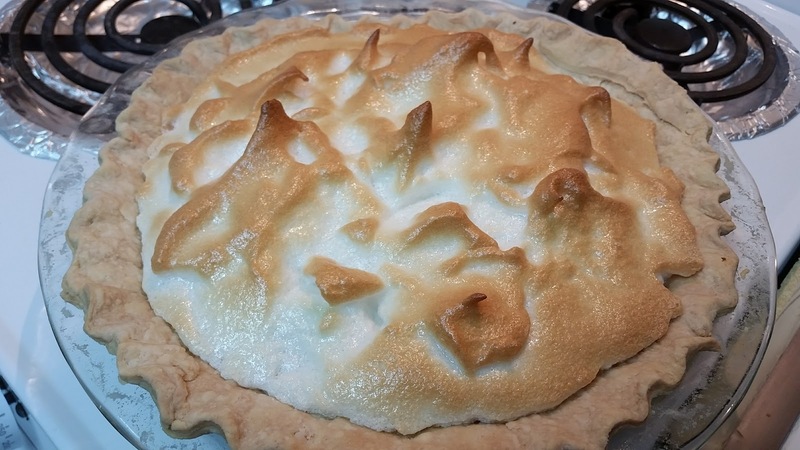 When the pudding is done, pour it in the pie shell, and begin the meringue. 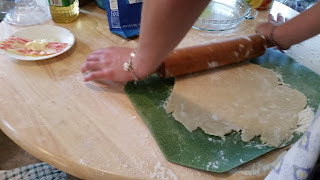 This is where we had old fashioned fun again. 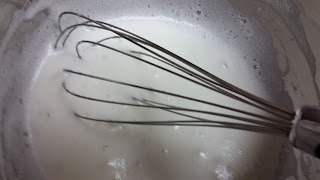 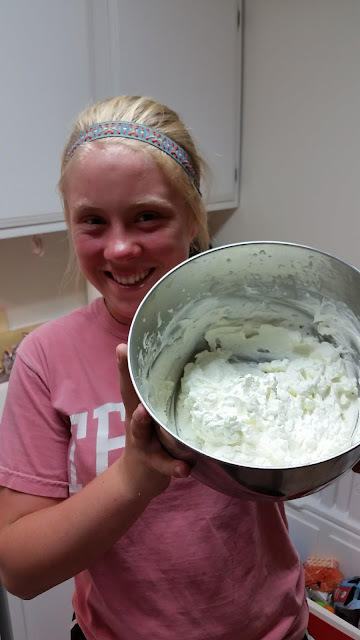 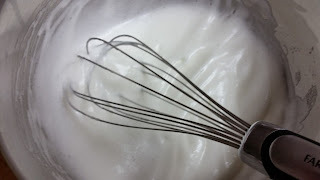 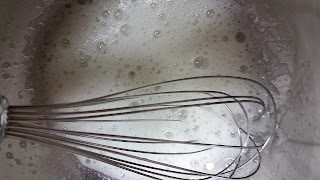 We had no electric mixer so we whisked like crazy. We added a sprinkle of powdered sugar from the bag, and whisked some more. 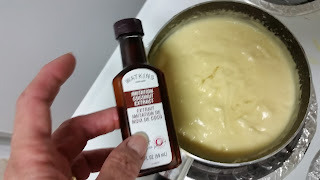 Then put it on the pudding, which is still quite hot. 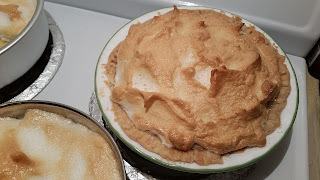 My friend Lory says the meringue won't shrink from the edges when "browning" in the oven if you apply it while the pudding is hot. 350* seems to be a good oven temp. 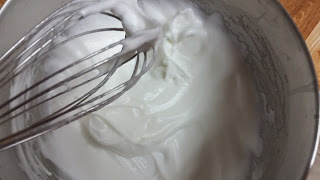 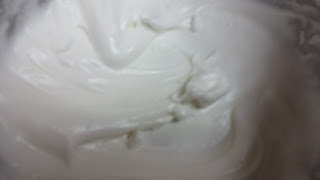 for browning the peaks of the meringue. 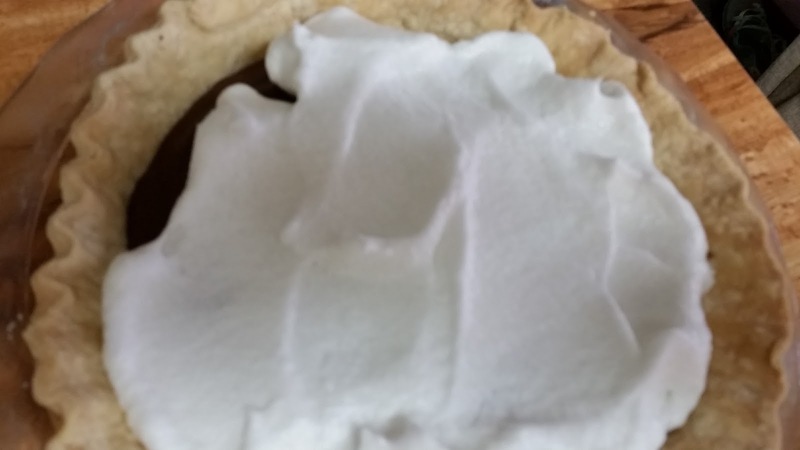 There is my delicious chocolate pie, to honor my dad ! 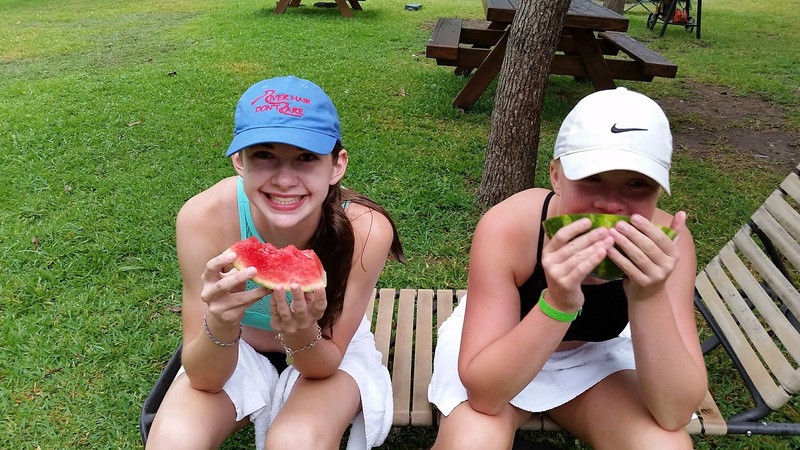 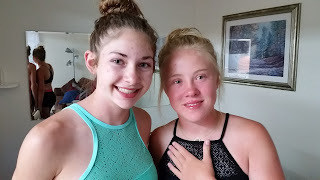 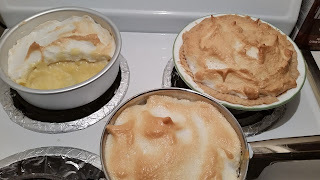 Do you remember that we were on a mini-vacation, to meet family..... and that is where I finished these pies?? 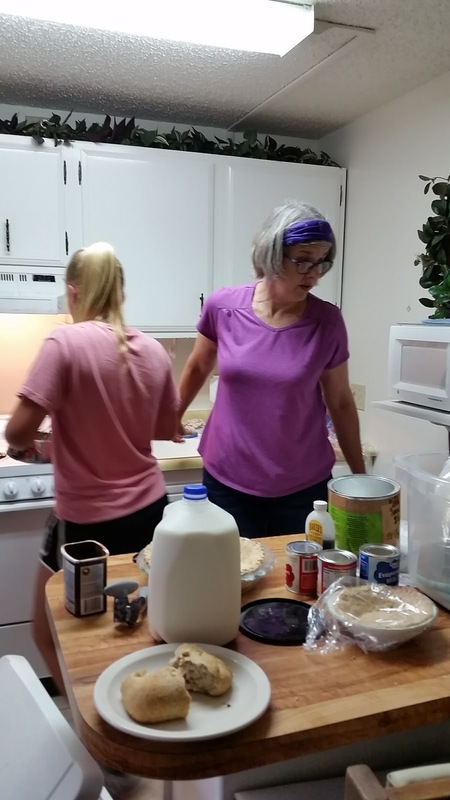 They practiced doing this hair-style that they call a "messy-bun." I hope you someday, make and enjoy these pies, and that you learn to make pie crust prettier than mine, and make meringue higher and prettier than mine! 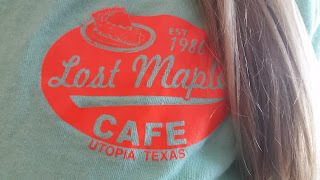 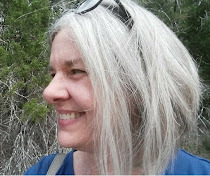 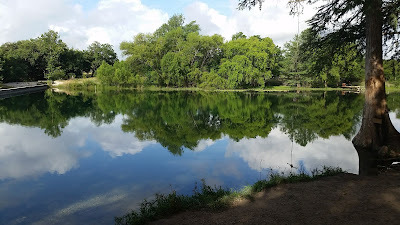 If you ever make it to Texas, go to Lost Maples Cafe in Utopia. It's awesome! They have a variety of delicious pies daily, and the lamb sliders are out of this world!! 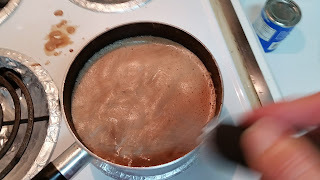 Stir and bring it all to boil for one minute. 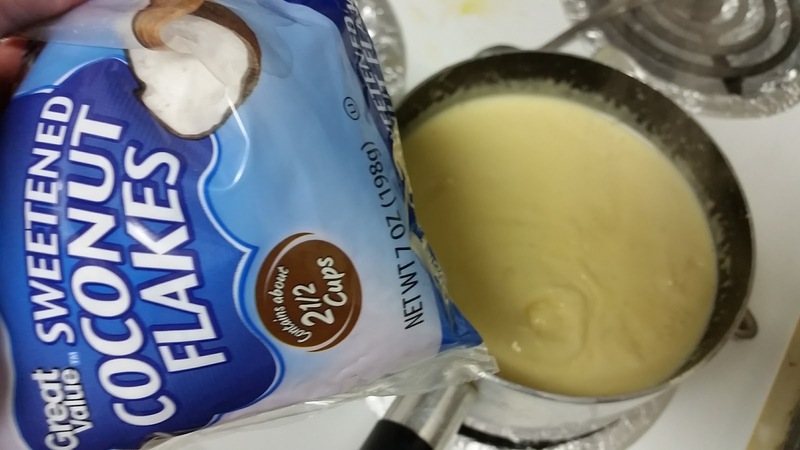 Must boil one whole minute, then remove from heat, and add two cap fulls of coconut flavoring. OK, so we ate some before I took the pictures. Again: I hope you make these someday, and yours taste as good as ours, and yours are prettier than mine!! 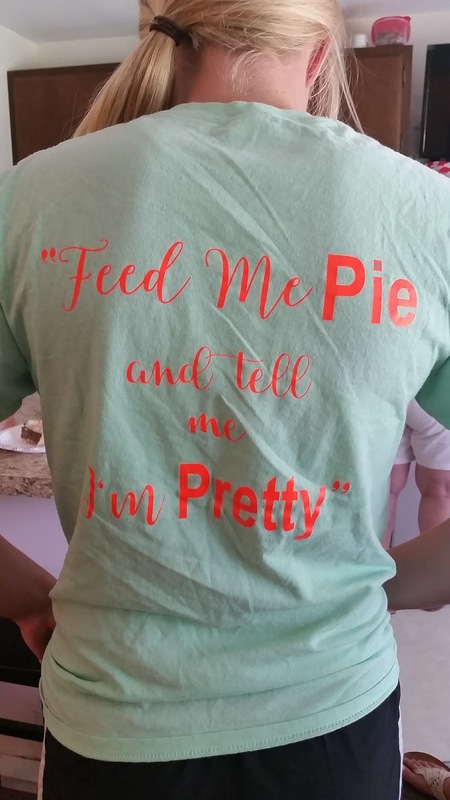 I'm sorry to hear about your diabetic dad Tammy. My mom's diabetic too and on a medication.